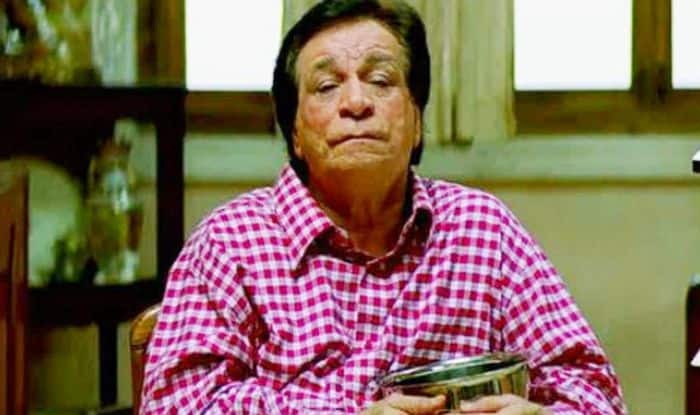 Veteran actor and comedian Kader Khan passed way on Tuesday at the age of 81. The actor had been hospitalised in Canada for the last few days. His son Sarfaraz and daughter-in-law were with him. The actor had been facing breathing difficulties. When the initial treatment stopped working, Khan was shifted from a regular ventilator to a BiPAP ventilator. One of the most versatile actors of Hindi cinema, Khan performed in more than 300 films in his around 46 years of cinematic career. He was born in Afghanistan but spent most of his life in India and Canada. Khan was also a popular screenwriter and director. He had debuted in Hindi film industry with the 1973 film, Daag, which featured Rajesh Khanna in the lead role. Apart from giving some of the most memorable funny characters in Hindi films, Khan had also been praised for his negative roles in films like Do Aur Do Paanch (1980) among others. Not many know that Khan had taught at a Mumbai college as a professor of civil engineering before he entered Bollywood. In fact, he was also a mathematician. His co-actor in many films, Amitabh Bachchan himself revealed the same a few days ago while tweeting about Khan. Khan was a recipient of three Filmfare awards and a Sahitya Shiromani Award for his work and contributions to Hindi film industry and cinema. His popularity shot up after he played supporting roles in many films of the late 80s and 90s, mostly featuring Govinda. Those included films like Coolie No. 1 (1995), Saajan Chale Sasural (1996), Hero No. 1 (1997), Banarasi Babu (1997), Deewana Mastana (1997), Aunty No. 1 (1998), Dulhe Raja (1998), Bade Miyan Chote Miyan (1998), Anari No. 1 (1999), Haseena Maan Jaayegi (1999), and Joru Ka Ghulam (2000) among others. He gave his other memorable performances in films Himmatwala (1983), Aaj Ka Daur (1985), Sikka (1989), Baap Numbri Beta Dus Numbri (1990), Hum (1991), Bol Radha Bol (1992), Aankhen (1993), Main Khiladi Tu Anari (1994), Raja Babu (1994), Judaai (1997), Judwaa (1997), Mr. and Mrs. Khiladi (1997), Dulhan Hum Le Jayenge (2000) among others.